Milpas Pico de Gallo with a twist of lime flavor. This special blend of ground chili peppers with salt also comes with a touch of lime flavoring. This adds that perfect amount of tart that can accentuate the sweet flavor of your favorite fruits. 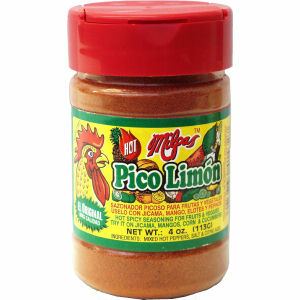 Pico Limon is the perfect seasoning for that traditional Mexican fruit salad.